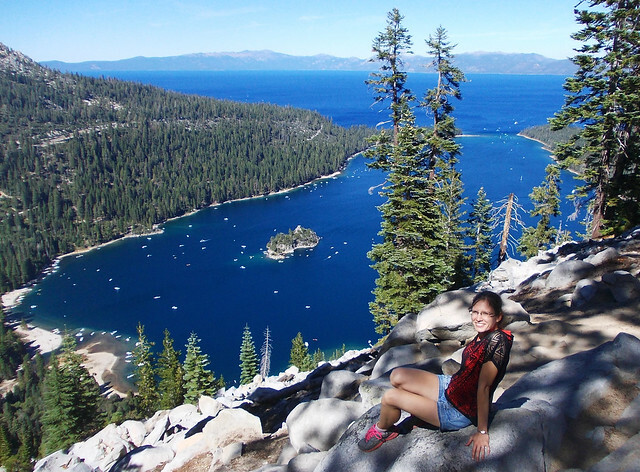 Lake Tahoe is a stunning alpine lake surrounded by the white granite peaks of the Sierras. It’s the second deepest lake in the United States after Crater Lake – 1945 ft (593 m) deep. Whenever we think of it we think of the view of Lake Tahoe from the trail towards Maggie Peaks. I mean, how could we possibly forget a view like this? The trail starts at a campground near Emerald Bay and signs are quite straightforward. They also indicate that part of this route is located in the Desolation Wilderness so you need permit even for a day hike. No worries though, the permit is free and available at the end of the campground. The trail is quite busy and well maintained and there’s a nice rest stop halfway at Granite Lake. Yes, another pretty lake. Yosemite Valley spoiled us with breathtaking waterfalls. 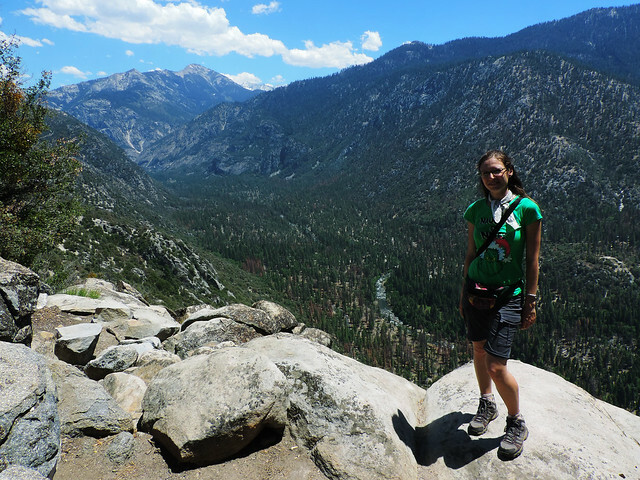 Some of them don’t even require hiking, only a short walk – like Yosemite Falls or Bridalveil Fall. Then of course, there are those who keep their secrets for the hikers. 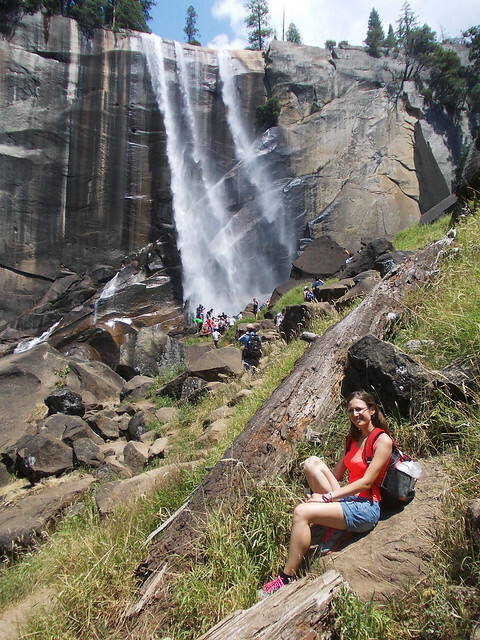 Like Vernal Fall, the smallest waterfall of Yosemite Valley – with its 317 feet (~96 m) height. Yeah, that’s what small means in Yosemite. But it’s not the only special thing about Vernal Fall. There are only 2 out of the 8 waterfalls of Yosemite Valley that has considerable amount of water any time of the year – Vernal Fall is one of them (Nevada Fall is the other). All the others basically dry out by August because they feed from snowmelt. 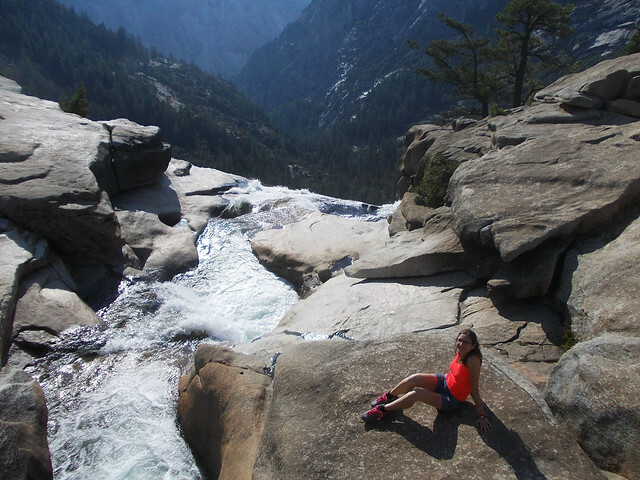 But Vernal and Nevada Falls get their water from a lovely mountain stream and thanks to that they exist even in summer. The other specialty of Vernal Fall is its rainbow. Due to the mist coming from the waterfall there’s a constant rainbow when the sun shines. Of course, there’s a chance for this at any waterfall but we’ve seen particularly strong and beautiful rainbows at Vernal Fall. Vernal Fall can be reached on the nice and moderately difficult Mist Trail that runs along a mountain stream. If you have the time and energy it’s worth continuing a bit further up to Nevada Fall. Or you could even extend it to a loop through Glacier Point. Okay, that’s a long and very strenuous day hike – a different story that was already written here. 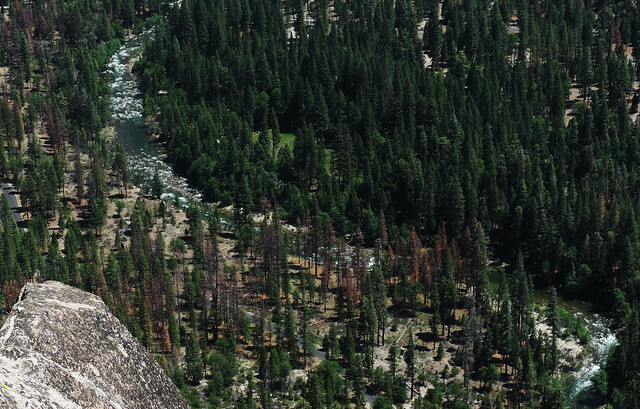 Sequoia National Park is the most famous for its Giant Sequoias, the largest trees on Earth. The most impressive sequoia groves are located in the Giant Forest & Lodgepole area of the park and several easy loop trails help curious visitors taking a close look at these giants. But so many other activities can fit in a long summer day in this park! 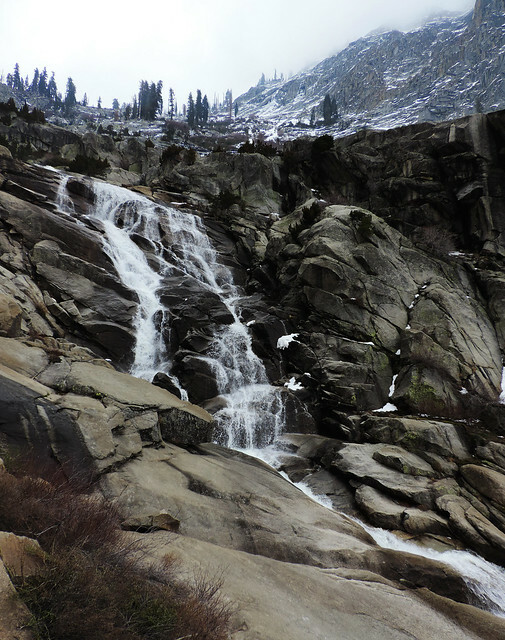 Like a half day hike to lovely Tokopah Falls. The trailhead is actually quite close to the sequoia groves by car – and General Highway, the road leading through Sequoia & Kings Canyon National Parks is breathtaking anyway. We followed a rushing mountain stream from Lodgepole Campsite and got some of the amazing peak views so typical in the Sierra Nevada. Finally, we ended up at 1200 feet high Tokopah Falls. 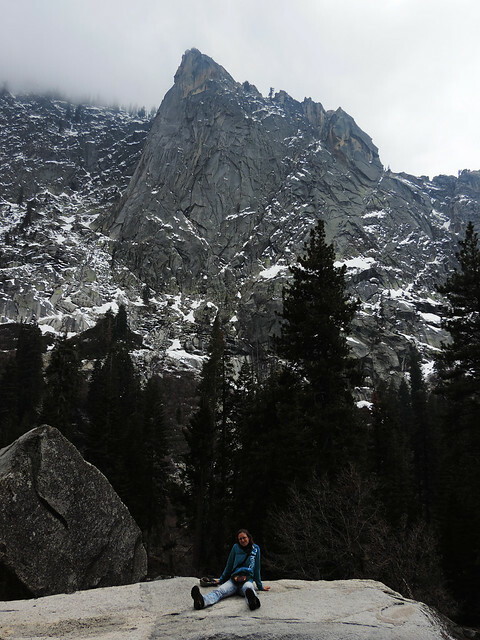 Kings Canyon National Park is known for its multi-day backcountry hikes leading to far and remote parts of the Sierra Nevada. There are exceptions though. Like the trail to Mist Falls that is a fabulous day hike or the Cedar Grove Overlook Trail that fits even into half a day. The trailhead for Cedar Grove Overlook is near Cedar Grove Visitor Center. It means you need to drive through a mighty glacial valley with meandering Kings River at its bottom. No problem, right? 🙂 There are several pullouts on the way and we made good use of them. So we already had some fascinating views before even starting the trail. Then we started our hike in a nice pine forest and soon continued climbing the steep slopes leading to the overlook. But as it usually happens, steep trails reward with fantastic views and so did this trail. Cedar Grove Overlook offered an amazing vista overlooking a glacially-carved valley. Kings River was far below us and it seemed like a giant green snake in the middle of the pine forest from above. If we could do it again however, we wouldn’t start in the middle of the day. It’s mostly unshaded and facing south so it can become really hot. Yeah, it became really hot… Morning or late afternoon could be more pleasant. 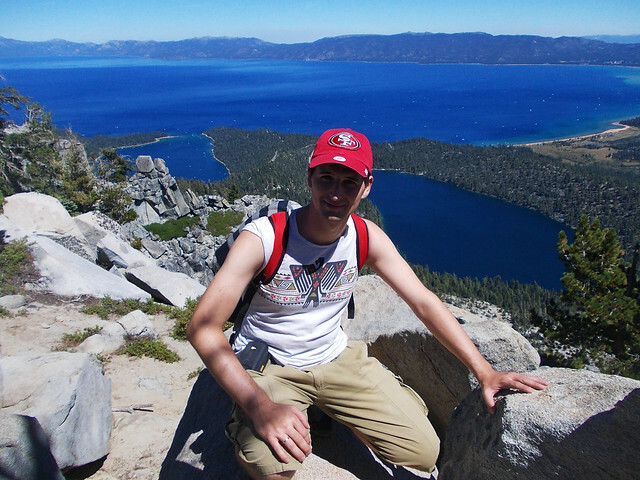 Last but not least: Lake Tahoe again. That’s where we fell in love with the Sierras after all. 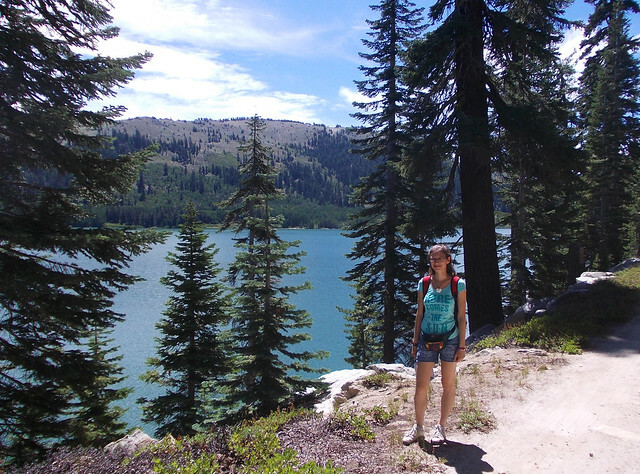 And Lake Tahoe offers an incredible amount of shorter and longer trails that let you discover the incredible amount of magical alpine lakes located around their big brother, Tahoe. The trail to Marlette Lake is special because it’s not very well-known (hence not busy either) and it’s located on the side that belongs to Nevada state. 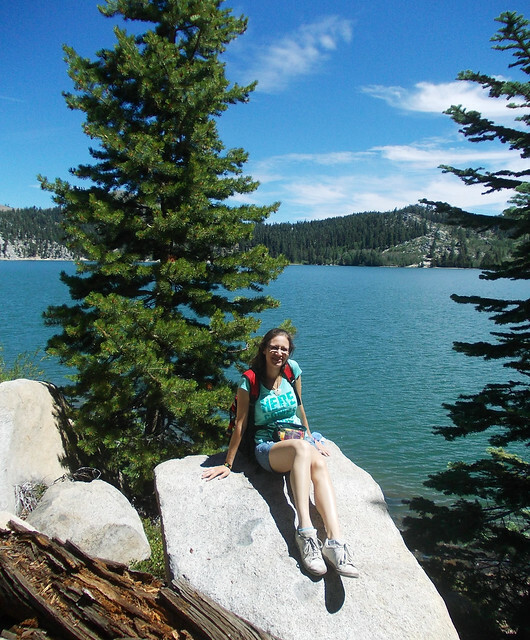 It’s a lovely hike in a pine forest from the level of Lake Tahoe up to Marlette Lake. We even had views of both lakes at once during the climb that ended at Marlette Lake. There we could walk on the lakeshore and cooled down our feet in the crystal clear icy water while watching cheeky chipmunks chasing each other. The most challenging thing about this hike was finding the trailhead. It’s located near Sand Harbour but there’s no sign at all just a parking lot and metal gate – the trail starts right behind this gate. From then on it’s quite obvious for the most part. But not far from Marlette Lake it becomes a little hard to follow again. It’s nothing serious but a map comes in handy. Our other advice: if you do this hike in the afternoon, stay at Sand Harbour for sunset. It was the most beautiful sunset we’ve seen above Lake Tahoe. Now it’s your turn. What did we miss? What are your favorite short hikes?